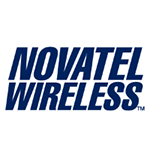 Novatel Wireless operates in the area of Internet of Things solutions development. For the past 20 years company headquarters has been located in San Diego (California). Novatel was the first to develop Mifi brand for IOT (mobile Wi-Fi hotspot or portable router), now being their registered trademark. Company business domains generally involve Mi-fi solutions development for businesses, organizations, telematics, telemetrics, as well as cloud solutions implementation and engineering services delivery. The chart below shows the changes within the last 30 days in the number units of Novatel Wireless devices type are connected to Wialon Data Center.